1-800-OUT-FAST is a real estate solutions company based out of Tampa Area. We’re a family owned business and focus on helping homeowners like you find solutions for your problem whether you’re going through a foreclosure, can’t sell your property, or just need to sell their house for all kinds of reasons. Greg is a native of St. Petersburg, FL and has lived in the Tampa Bay area his entire life. He has always had a passion for real estate, and when the Tampa Bay market was hit by the recession in 2008-2009 he made it his goal to help rebuild the community he has lived in and loved his entire life. He currently lives in Tampa with his beautiful fiance, Jackie, and their family of “furbabies” consisting of 3 dogs and a cat. Greg is the CEO and Chief Homebuyer for 1-800-OUT-FAST (www.1800OutFast.com) where they specialize in buying houses from distressed homeowners for a fast, fair price. They either fix the house up and sell it or they may add it to their own rental portfolio. 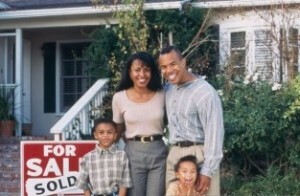 They sometimes even sell them to other investors that are looking for great properties. 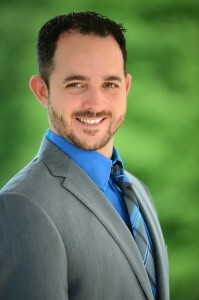 Greg is also one of the owners of Out Fast Realty & Investments (www.OutFastRealty.com) where they work with both sellers and buyers achieve their goals throughout the home selling or buying process. They specialize in working with investors to bring them the best possible properties for them to add to their portfolios. Greg is also the co-owner and President of TBREIA (www.tbreia.com). TBREIA (Tampa Bay Real Estate Investors Association) is Tampa Bay’s largest real estate investors club with over 6 meetings each and every month all around the area. Greg also is a co-owner of Coaching REI (www.coachingREI.com) where he offers aspiring real estate investors guidance in either getting their first deal completed, or refining their business so they can take it to the next level. Greg prides himself in providing his members, students, listeners, mentees, etc. with the absolute best information and doesn’t believe in charging an arm and a leg for it like some of the other “gurus” do. If you’re looking for help in regards to getting your business kickstarted book a FREE call with him today! You can sign up here: https://gregscoaching.youcanbook.me/. Greg is so appreciative of you taking the time to read a little bit about him. Make sure you check out our very first podcast where Greg dives deep into why he got started in real estate investing, and exactly how it all started for him. You can listen to that first episode here: (insert first podcast recording link.) Thank you so much, and catch you on the FLIP side!